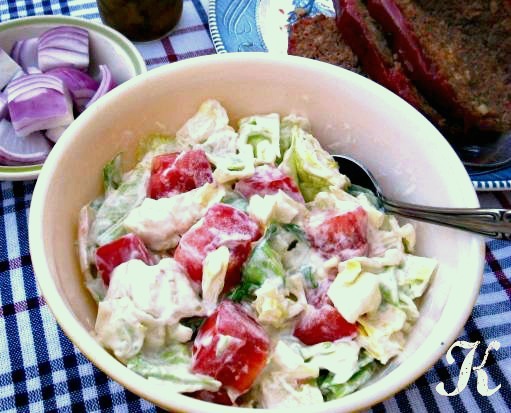 Lettuce Tomato Chop Salad when you want a go-to salad, and you want one that has simple ingredients and as few as possible, lettuce, tomatoes and mayonnaise or miracle whip. That's it! For my go to salad, I always think of my Mother's Lettuce Tomato Chop Salad. I served this salad with our meatloaf we had a couple of weeks ago. I grew up eating this salad mostly in the summer when the tomatoes were plentiful, but with fresh tomatoes readily available in the grocery store, that is not the case now! 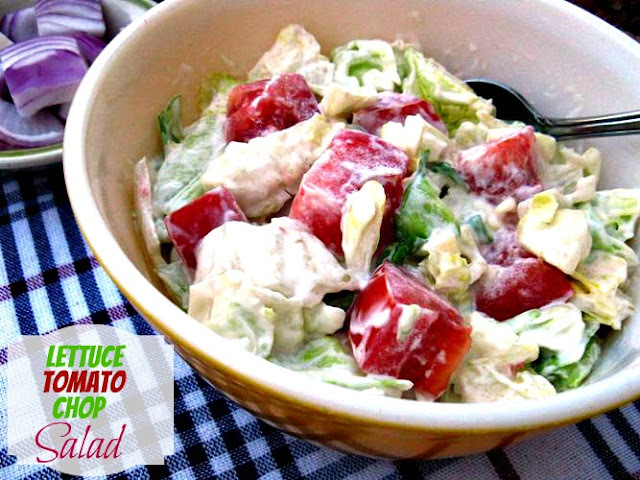 Mother chopped up iceberg lettuce, fresh tomatoes, and folded them all together with a cup of Miracle Whip. I don't know if you have a liken for Miracle Whip or not, but growing up, I wouldn't use anything else. Today is another story, with my husband being a fan of mayonnaise, I have switched over. In a large bowl, place lettuce and tomatoes. Fold in Miracle Whip, being sure not break up the tomatoes too much. Salt and pepper to taste when served. Oh Kay..I am not wild about salads but know I would gobble this one up. Thanks for sharing!! my grandmother made this exact salad. Although I am not sure if she used Mayo or Miracle whip. I like both of them. My grandmother lived in a small town in NW Oklahoma. I am wondering if your mom lived near here, if this might be a regional dish or not. Rhonda ~ Glad you stopped by CWK. My Mother grew up in Oklahoma....but when she made it for me we lived in Texas. Mornin' Kay - This is one of my favorite salads. 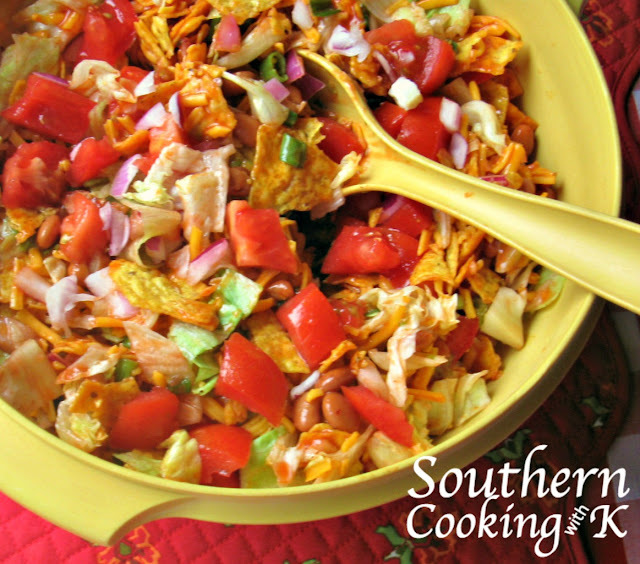 Mama made this often, and we called it "Poor Man's Salad". Have no idea where that name came from! In the months without fresh tomatoes, Mama would substitute hard cooked eggs, and ALWAYS, ALWAYS Miracle Whip!!! lol..This salad is always served with meatloaf..just like Mama did. Thanks for sharing. Mimi ~ Thanks for stopping by CWK to share you memory of this salad...made my day! Kay, this is a basic salad, similar to what I had, as a child and a salad that has great memories. I should make this instead of bringing in exotic ingredients. I would be a happy camper. 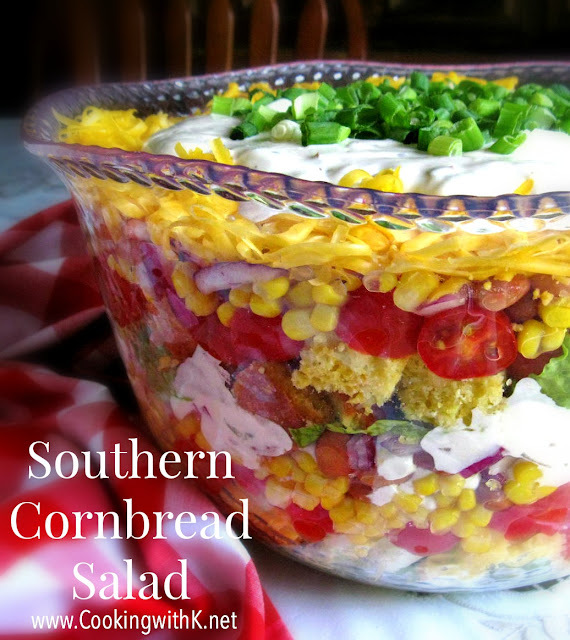 I just spotted your cornbread salad and it is so pretty. I am off to check out the recipe. I have company coming and it looks perfect. Thanks for always having what I need. Happy Friday to you Friend! 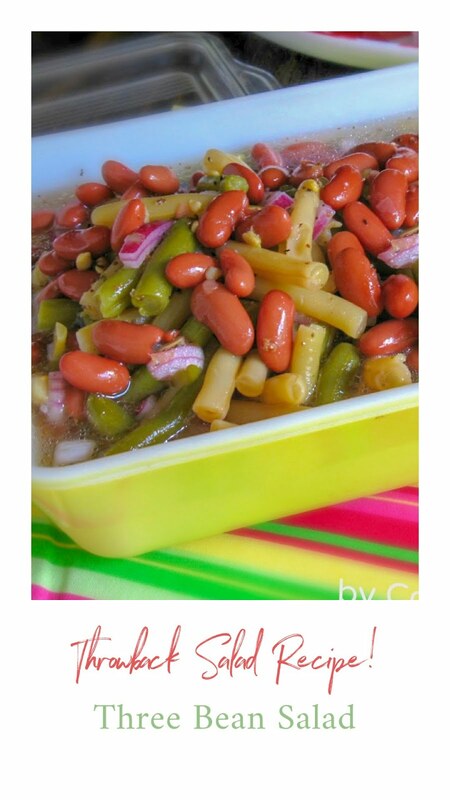 Wanted you to know I featured this lovely salad at Weekend Potluck today.=)MMM! Hope you'll come by and link up...and come again and again. Enjoy a wonderful weekend. Yummy, I know this would be so delicious with our fresh tomatoes from the garden, love the ease of this recipe. 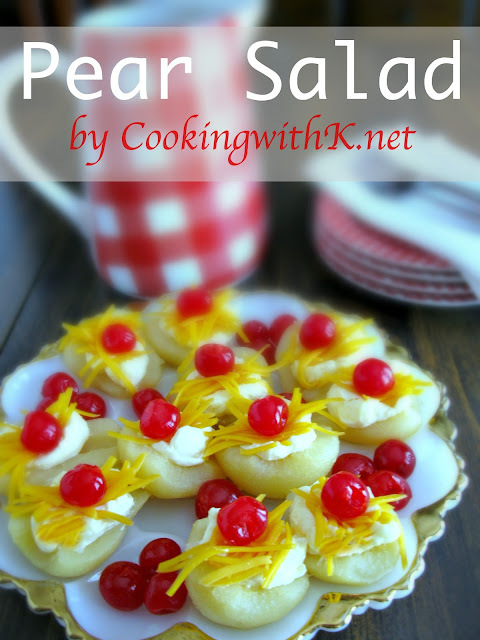 I have had this salad many times at my Grandmothers table, it sure brings back memories. I need to make again and really enjoy it. 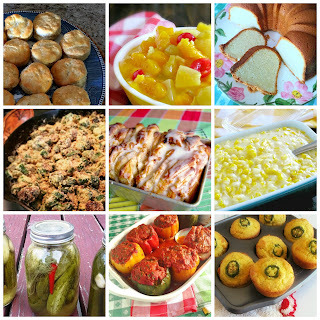 Hope you have a great week end and thank you so much for sharing with Full Plate Thursday. Kay - we've had this salad so many times over the years. My own grandmother used to make it a BLT chop salad by adding BACON:) Thanks for the trip down "memory lane!" YUM! Grew up on this salad except my grandmother added green onions & used Mayo & Garlic Powder!! I still make it today & add Bacon Bits to finish!!! Hi! I like your salad and how it allows additions without detracting from the original. This is similar to the recipe my paternal Great-Grandmother used, except, she would add a chopped hard boiled egg, and also used mayonnaise. 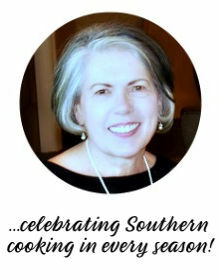 She passed away in 1971, and was in her 70's, so this recipe is very old. It is hard to believe how simple life and dishes were. My Mom told me, this salad was served on the dinner plate, along side the other food. Thank you for sharing and allowing us to share our memories, too.